A Hawaii family vacation to the Big Island is like no other. When we say Hawaii family vacation, we’re including all of you who are traveling together to share the grandeur and excitement of exploring the Big Island. 'Ohana is Hawaiian for family, and the Big Island is one big 'ohana, embracing all groups of people traveling together. So whether you're traveling with a group, on a Hawaiian honeymoon, a family vacation or even on your own, you’re going to love your Big Island adventures! Welcome to our 'ohana! With so many fascinating places to discover and fun things to do, the Big Island is one exciting playground. It makes the perfect vacation destination for anyone with a sense of adventure. Everything you might have ever imagined about tropical Hawaiian vacations is possible here. Stand atop an active volcano, explore a luxurious rainforest jungle, bask in the sun on pristine Hawaii beaches, or hike along the paths of ancient Hawaiians. Around every corner is a new adventure just waiting to be discovered. To experience the best of the Big Island, schedule a private tour! Hawaii Volcanoes National Park is one of the top attractions in Hawaii. There is so much to see and do here, you'll want to come back again and again. If you’re looking for an active volcano, this is the spot! Stand atop Kilauea, the most active volcano on earth. Gaze into the depths of the lava lake of Halema'uma'u Crater. Walk through the ancient lava tube Nāhuku. Make your own earthquake and enjoy other cool exhibits at the Jaggar Museum. Go with a guide! 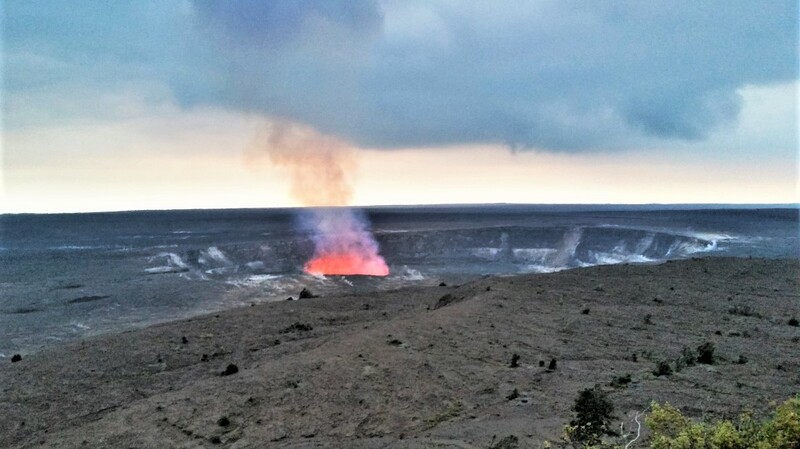 Schedule your own private Kilauea Volcano Tour to experience all the best sites in the park. Go where you want to go, when you want to go. Mauna Kea volcano - Mauna Kea is the tallest mountain in the world, towering more than 33,000 feet (over 10,000 meters) from its base on the ocean floor. 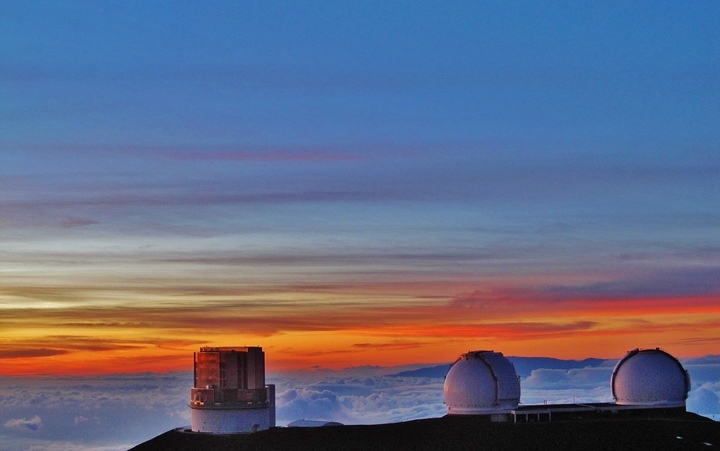 At the summit you are rewarded with one of the most spectacular views on the planet, and an impressive array of telescopes at the Mauna Kea Observatory. You won't want to miss the sunset! The best way to explore Mauna Kea is to sign on for the fascinating Mauna Kea Summit Tour. The Big Island is home to a remarkable variety of ocean creatures. 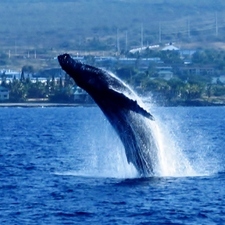 Our Attractions Page gives details on whale watching in Hawaii, swimming with dolphins, snorkeling with Manta Rays, and even a seahorse farm. The ocean here is truly amazing, with a stunning array of colors, shapes and sizes of fish and coral. Don't miss exploring our favorite north shore valleys and two of the most unique beaches anywhere in the world. In Hilo, check out the fascinating Pana'ewa rainforest Zoo. Naturally the Big Island boasts an abundance of Hawaii parks and monuments, with 21 Hawaii State Parks, Monuments, National Parks and National Historic Sites. There are plenty of great beaches on the Big Island. Some of them are particularly suitable for families with small children, pristine places to throw down a beach towel, frolic safely in the surf, or sit with your feet in the sand under the shade of a coconut palm. 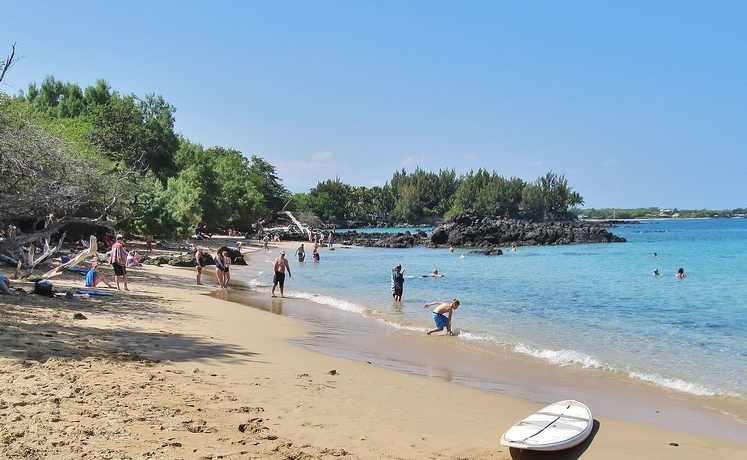 Due to offshore reefs that provide a calm and protected swimming area, three of the best family beaches are Kikaua Beach, Wawaloli Beach, and Kamakahonu Beach for families or anyone looking for a quiet place to relax. 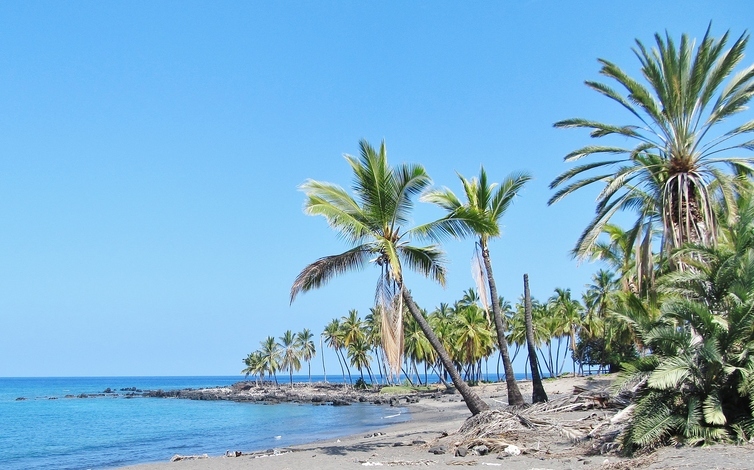 And one thing that will definitely work in your favor on your Hawaii family vacation to make your beach time more enjoyable: sun, especially near Kona and along the Kohala Coast. While rain showers are more common at beach parks near Hilo, the weather on the west side of the island is almost always sunny. Plan ahead and check out our extensive list of Big Island activities for ideas on even more fun things to do. Your Hawaii family vacation can include snorkeling and diving, canoeing and kayaking, sailing and parasailing, boogie boarding and surfing, hiking and horseback riding, plus astronomy, luaus and lots more! For a truly memorable vacation, join us for a private tour. Get away from the crowds and experience the Big Island in style in the privacy of a luxury SUV. We specialize in providing private Hawaii Big Island tours for couples and families, sharing our passion for preserving the delicate nature of this special place, and our appreciation for the Hawaiian culture. Get to know Hawaii's parks and historic sites, see the dramatic scenery of the Hamakua Coast and Big Island waterfalls, explore Hawaii's volcanoes up close, visit black and green sand beaches, experience the grandeur of Pololu and Waipi'o Valley. We'll take you just about anywhere you'd like to go, on your schedule, with driving tours and hiking tours virtually anywhere you'd like to explore. Sign up for one day or join us for several days of adventure. Design your own custom tour! Private full-day tours start at only $295 for up to three people (just $50 for each additional person, up to a maximum of six). Cold drinks and snacks provided (a lunch stop is also offered). Complete this short form with your dates of travel and we'll put together a fun day just for you. Whether you're here with friends, family, on your honeymoon or on your own, our ohana invites your ohana to embrace the rhythm of Hawaii, take your time and enjoy exploring the Big Island! What really stands out about your trip to the Big Island? 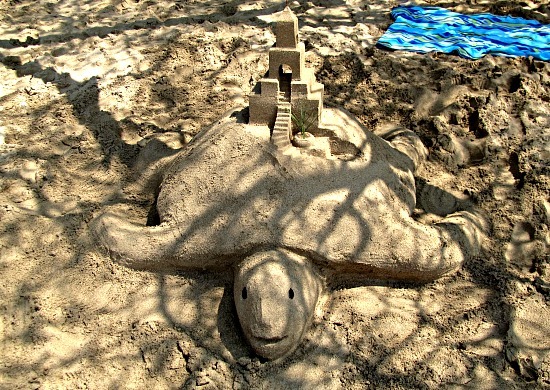 A perfect day at the beach? An awesome island sunset? The staff at your favorite hotel? Click on the links below to see what others wrote about their Big Island memories.